Jurgen Klopp and Andy Robertson spoke to reporters ahead of Liverpool’s Champions League Group C fixture against Red Star Belgrade on Tuesday evening. The Reds are in for a manic atmosphere in Serbia, with Red Star supporters known to be hostile to their opponents, as Napoli found out on match-day 1. When asked what might prove to be difficult for the Reds, Klopp replied: “The combination of atmosphere and football they play. “I said it after the first game, I saw it in that game – we were really good that night and if we would have been a little bit less good then immediately Red Star would have been in the game. “But, that night, we were really strong and that was good. We have to be very strong tomorrow again, football-wise. 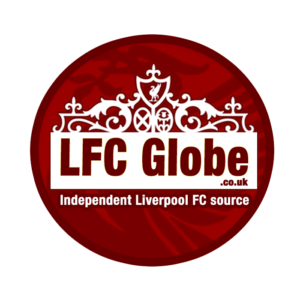 “Atmosphere… we are from Liverpool so we know how big the influence can be. The only way I know to cool the atmosphere down is playing really good football. That’s what we have to try; to be ready for a fight and ready for a big game. Meanwhile, Robertson – who is expected to start at left-back, says his teammates need to use the atmosphere to their advantage, rather than letting it affect their performances. “We’re expecting another special atmosphere, of course,” said Robertson. “We’ve seen videos of the fans and it’s a special stadium but we’ve got the experience of playing in these stadiums before and we’ve just got to focus on the game in hand. “I think in the game at Anfield (a 4-0 win) we scored at the right times and we were at 100 per cent. “I think they’re a different beast when they’re at home and I think they proved that against Napoli, obviously, getting a draw. “They’ll be hoping to use that to their advantage but we know if we play at 100 percent again then we believe we’ve got the qualities to get the three points that we need and hopefully quieten the crowd.